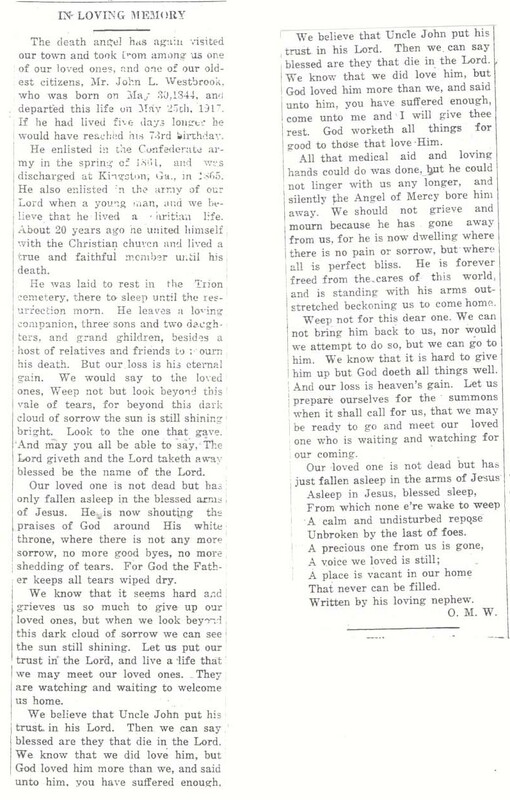 Westbrook, Mr. John L. Died May 25 1917 in Trion, Georgia. 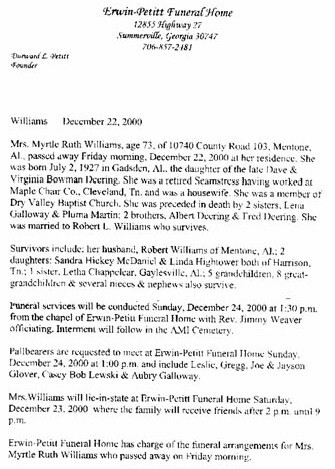 The obituary was written by Oscar M. Westbrook. Submitted By: Tim Westbrook.